Dhanalakshmi-the Hindu Goddess Of Wealth by Chandrima Dhar - 8" x 10"
Dhanalakshmi-the Hindu Goddess Of Wealth poster by Chandrima Dhar. Our posters are produced on acid-free papers using archival inks to guarantee that they last a lifetime without fading or loss of color. All posters include a 1" white border around the image to allow for future framing and matting, if desired. 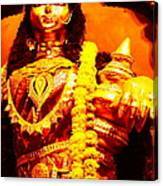 There are no comments for Dhanalakshmi-the Hindu Goddess Of Wealth. Click here to post the first comment. 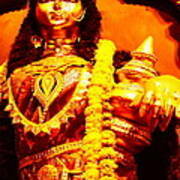 Lakshmi is the Goddess of wealth and prosperity according to Hindu Mythology. She is represented as the consort of Lord Vishnu and is said to have manifested during the great churning of the Ocean of milk by the Gods and Demons to obtain the nectar of immortality. 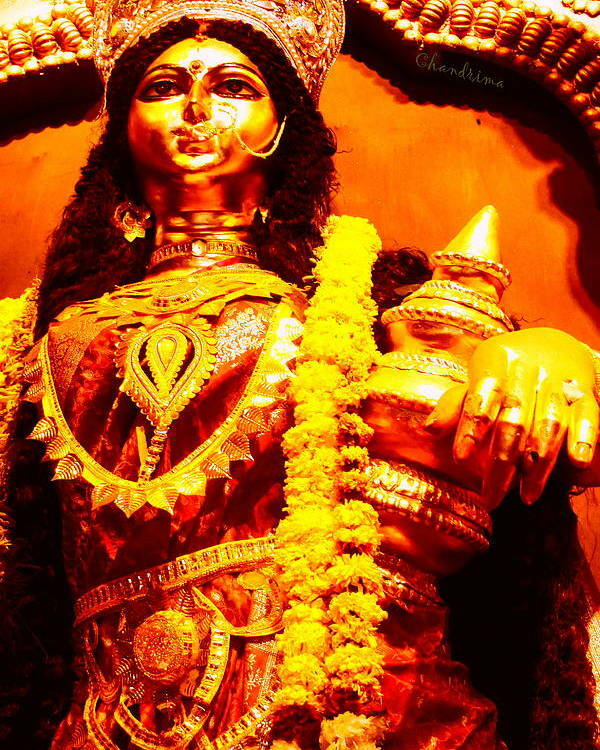 She is most prominently worshipped during the Hindu festival of Diwali when people light small lamps around their houses and pray for Goddess Lakshmi to bring prosperity into their homes all year round.